Sometimes real life gets in the way of a blogger’s blogging. 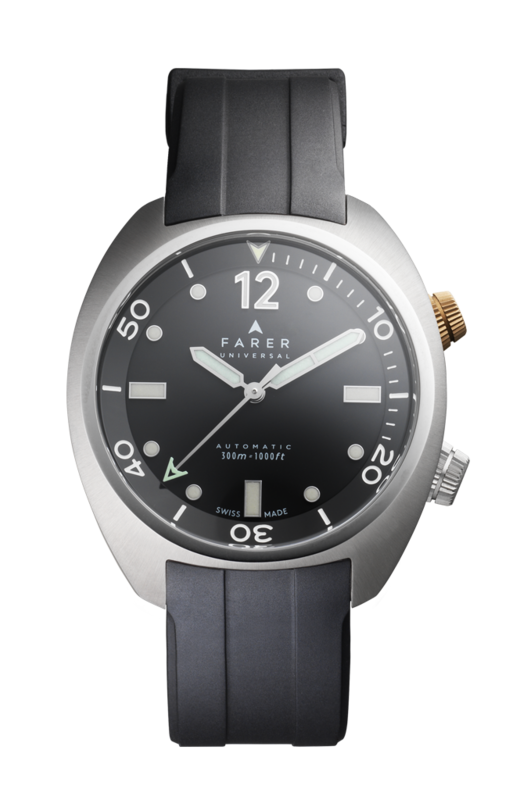 Last week I was invited to the launch of Farer’s new dive watch. As a fan of both dive watches and British watch brands I was really looking forward to attending – then I was stuck in a conference in Brighton and could not attend – bother. The teaser photos on social media in the run up top the launch did not really give much of a clue to the final appearance. 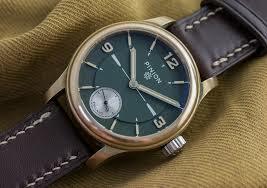 I think you will agree they have come up with a great looking watch. 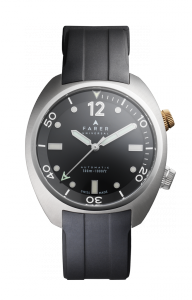 The Farer designers have managed to come up with a dive watch that does not follow the usual “submariner” direction. The look is individual whilst at the same time looking classic. 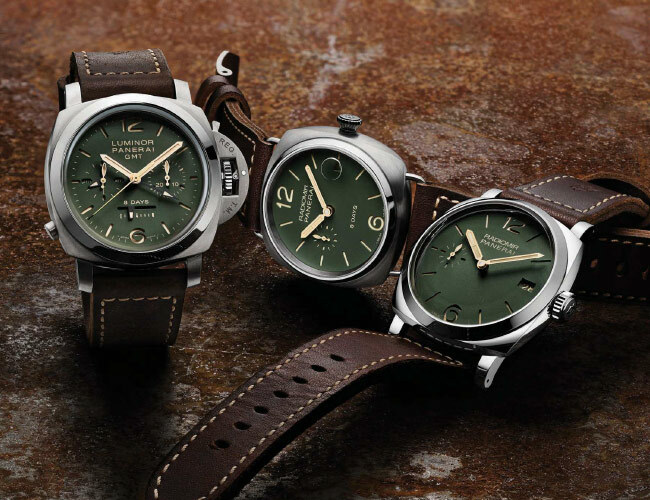 The most similar design I can remember is the Longines Heritage Legend. The Farer cushion case design was chosen for strength. 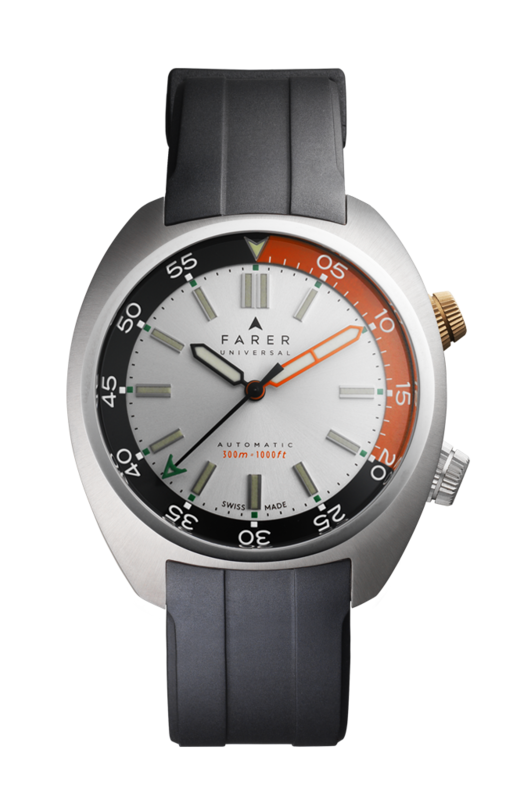 Developed to allow the architecture of the Aqua Compressor system to work seamlessly within the water, it is carved out of a solid block of high-grade 316L stainless steel and finished with highly polished sides and case back, with a fine decorative edge lip cut into the case surrounding the bezel, creating a subtle contrast against the brushed top of the cushion case. 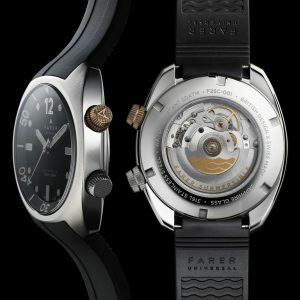 The case is characteristic of Farer, dropping down at the lug for a more compact feel and superior comfort on the wrist. The Aqua Compressor case has the key features of a classic Super-Compressor case design – twin crowns, screwed on case back, compressed O’ring gasket, internal rotating bezel. 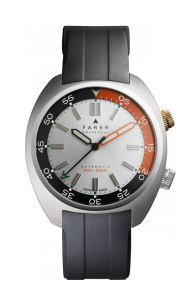 However the Farer Aqua Compressor design has evolved the specifications of the original system which was created when the water resistance of watches was a big challenge. With the progress of modern materials, they have gone through a whole series of developments to create a very compact but highly technically capable dive watch case. Now tried and tested to modern standards to be taken to depths of 300m / 1000ft. 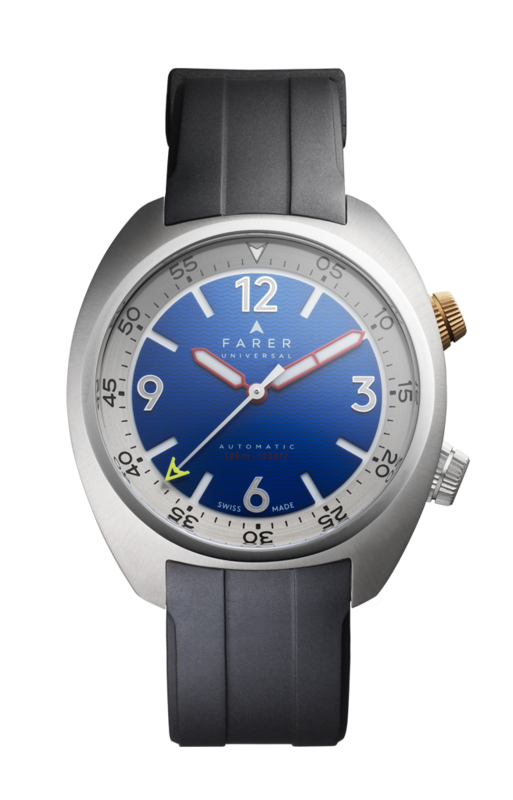 The Farer Aqua Compressor collection is powered by the Swiss-made ETA 2824-2 Elaboré Non-Date Movement. This is a rare piece from ETA, in that it features no date within the mechanics to make this 100% functional for the diver’s needs. A highly reliable, workhorse movement. 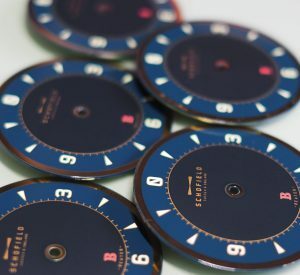 There is a screw down back case to hold the flat sapphire crystal exhibition glass, both utilising compressor gaskets to secure the water resistance and withstand the high pressures to 300m/1000ft. The watch is available as one of three variants, each named after ships of the Royal Navy. 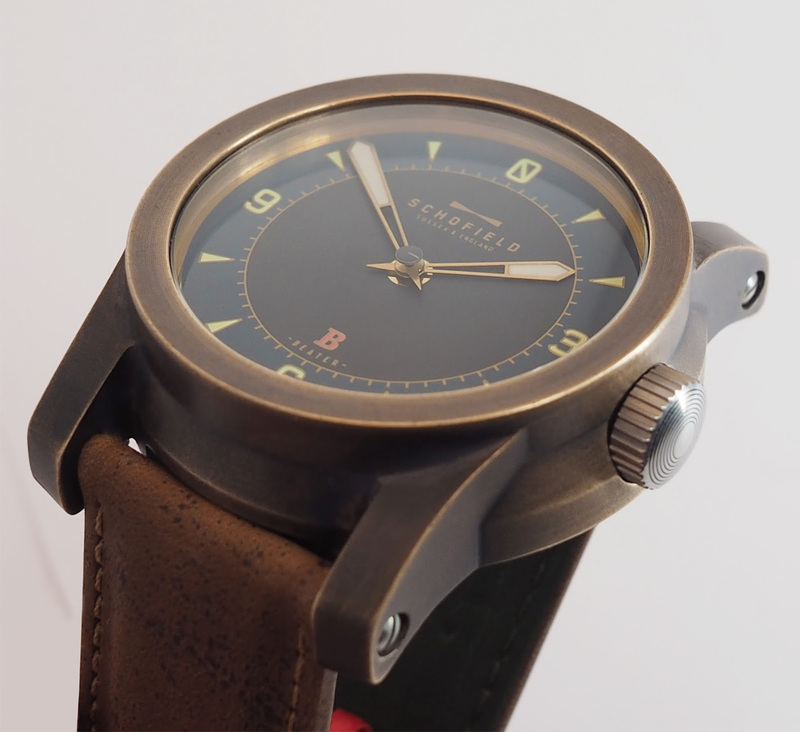 As well as the natural rubber strap the watches are supplied with a 316L Stainless Steel bracelet. All this for £ 1095 – which looks a pretty reasonable price. 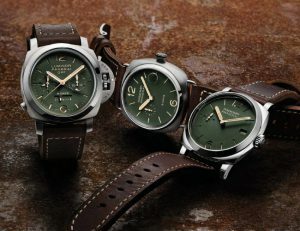 I hope to get my hands on a physical example of the watch soon. I think the Helga version is my current favourite. 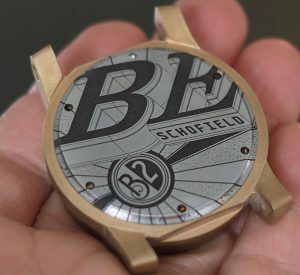 This week I received an interesting mail from Nicholas Bowman-Scargill of Fears watches. Nicholas thought I might be interested in speaking to another British watch brand “Freedom to Exist” . On receiving the e-mail I was pretty happy at the idea that a brand was coming to me. I then did a quick search for some information about the brand and my initial thoughts where “another minimalist watch brand”. Kirsty and Paul have more than 25 years worth of experience between them of bringing ideas and sketches to life. They met while creating products for Habitat before both joining Made.com That knowledge and experience, combined with a love of classic detailing that make vintage watches truly timeless, inspired them to create FTE. They have started their journey with watches, available in two sizes, that simply tell the time. They wanted a little space away from the overwhelming noise of branding and technology. They believe freedom is the freedom to choose, to fall in love, to wear what you want, how you want to. It is the Freedom To Exist. 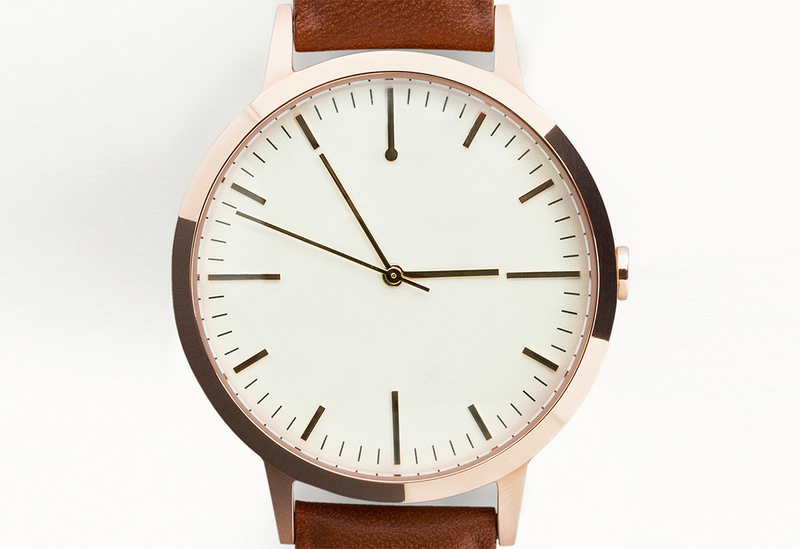 That is what inspired Kirsty and Paul in 2015 to create their own minimalist watch brand – because we wanted to create products free from fast fashion, gender rules and passing trend. No logo. No tracking. No beeping or monitoring. The basic design of the watch remains the same for the two sizes 40mm and 30mm with both using the Swiss Made Ronda 763 Quartz Movement. The cases are made of 316L stainless steel in a steel finish or with a gunmetal, gold or rose gold PVD coating. Priced between £155 to £175. Bravely the watches are sold with a lifetime guarantee. Now this all sounds very admirable but in practice I thought they faced considerable marketing challenges moving forward. I was interested to see how they hope to sustain/build an unbranded brand. As Nicholas put me on to Paul and Kirsty I thought it worthwhile to pursue these questions with them. After a few days Paul came back with some answers that demonstrated they had seen these issues coming. Our honest pricing, and selecting the best of every component but still keeping it affordable. Swiss quartz; Italian leather, domed glass etc. We are the customers. We’re not a faceless brand that is mass produced and churned out. Kirsty and I have touched every element of the brand. From the what face, to photography to the website. FTE’s brand values are also out life values which gives authenticity, that like mined people want to buy into. Joining our community. The brand free design actually helps appeal to a certain target audience. It’s all about the design and appreciating the design and then being ‘in the know’. Summing up – they will endeavour to remain, Affordable, with minimal & timeless design. Executed in a honest way; and how we would like to be treated as a customer. Their future I guess depends on if they can find enough of these people “in the know”. Their ethos though is admirable and as always it is great to see people following their own dreams. Following on from the success of their first watch the H1 diver Southampton based Hamtun watches have announced the arrival of their second watch – the Neon. Interestingly for this watch Hamtun have chosen a Swiss movement. The Neon Automatic will feature the Swiss made STP 1-11 movement, which is basically an ETA 2824-2 clone. When compared to the NH35A it wins in all areas. It ships from the factory better regulated, it’s far prettier, it has an extra 2 hours of reserve power, it’s slightly thinner so Hamtun can make the watch thinner, it has a better advertised accuracy and it beats at 28,800 vph so will give a super smooth sweep of the seconds hand. 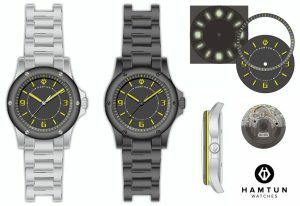 I am looking forward to seeing this watch in the steel and hopefully the original H1 in the titanium.